What happens if I try to create containers above the limits? That’s what I’m about to demonstrate today, let’s take this journey together, shall we? By default, the VCH endpoint VM has 1vCPU and 2GB of memory and that's what we'll work on with. … eventually, it boot’s up but with some errors on the console, you might try, but even a simple “ping” does not work. 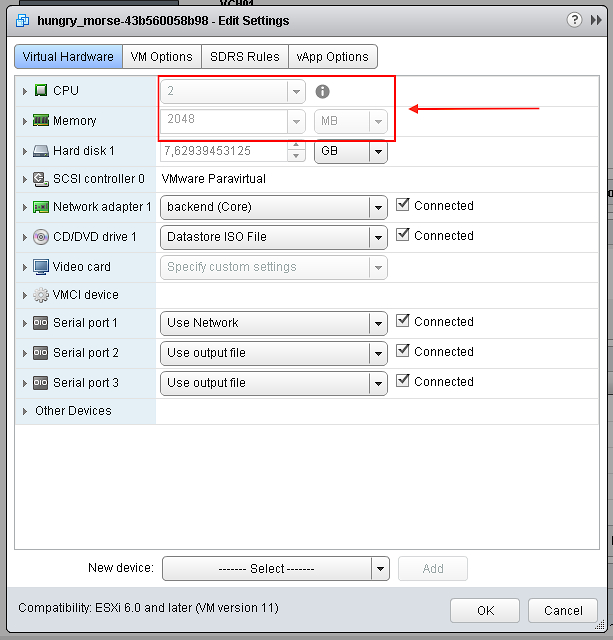 Looking further, we can see on the performance chart that the VMs is Entitled to only 100MHz, the same amount which was specified by the VCH creation. So during the boot process, the endpoint VM Demands more than what it’s entitled to, that’s when we saw a high READY time, meaning that the VMs is ready to run but could not get scheduled on the physical ESXi CPU. This time the VCH creation fails with a more descriptive message. "Failed to power on appliance. 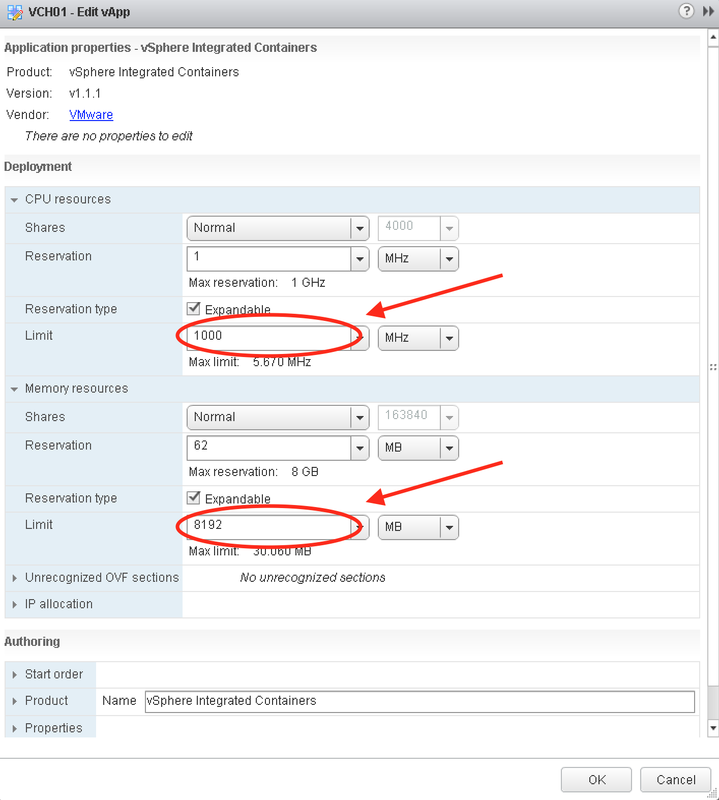 The available Memory resources in the parent resource pool are insufficient for the operation"
As we can see there’s not enough memory to power one the endpoint VM so it cannot proceed. Well, it’s clear that at least we need to set the limits higher that the VCH endpoint configuration. I think it’s enough for one post, next I will cover what happens when the containers consume more than the Limits. 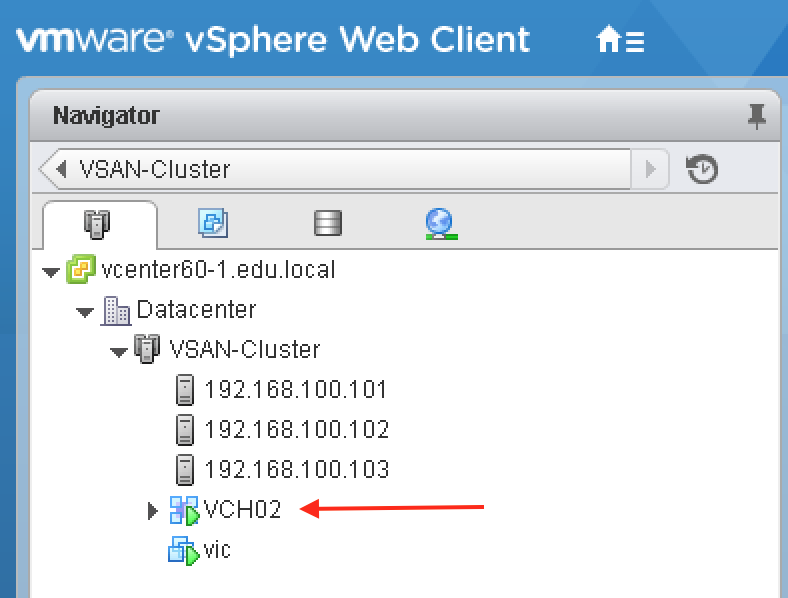 A few weeks ago I talked about vSphere Integrated Containers Networking, what they are used for, syntaxes and how the traffic flows to and from the containers, but they were all from the point of view of vSphere Administrators provisioning virtual container host, VCH. Developers, on the other hand, are used to create their own networks; for several reasons, like; isolating containers from each other, creating a backend network for some application or just for service discovery outside of the default bridge network, they are called User-Defined Networks. Another handy feature of user defined network is that it provides an embedded DNS service, which means, containers on this network will be able resolve themselves by name automatically. 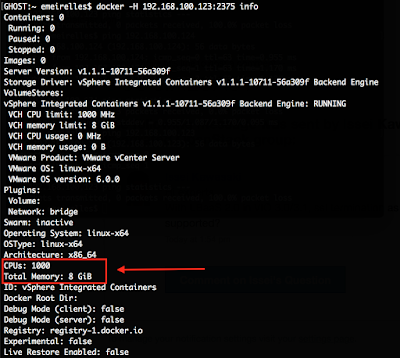 When we create containers without any specification, it’s connected to the port group backing up the bridge network, which was specified during VCH provisioning, in this case, "backend" and got and IP address from 172.16.0.0/24 address space. Obs: I’m using --subnet option because I don’t have a DHCP listening on that segment. This time I will create another container connected to this new user-defined network I just created. 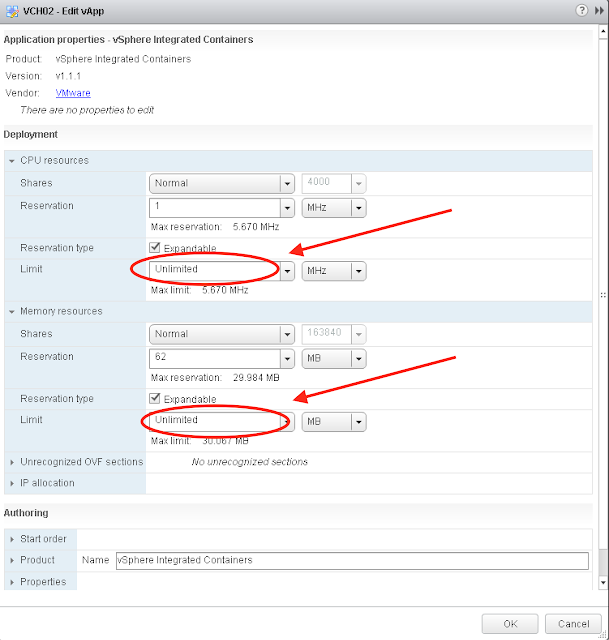 As expected the container is connected to the same port group backing up the bridge network but received an IP address from the range specified during the user-defined network creation (10.10.10.0/24). My point here is, although they are connected to the same segment (port group) the different address space provides enough segregation between containers. That’s one of the reasons we recommend a dedicated segment for each VCH bridge network, otherwise diferent users could create additional user-defined networks with the same address space of each other, which might inadvertently allow access to each other containers or cause and IP conflict. 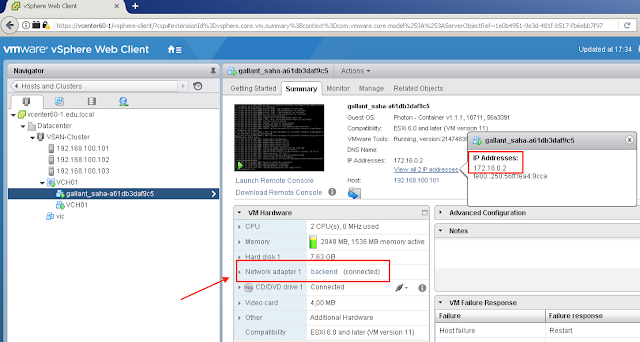 One of the many vSphere Integrated Containers, VIC, benefits is its ability to control and manage resource allocation. Let’s make a comparison between VIC and traditional containers deployment to clarify what I mean with that. With traditional containers deployment, you have to size your container host upfront, we all know how easy it is to foresee adoption and future grown, right ?! Inevitably you will end up in two situations, either you sized your container host to small and in a few months or weeks it will be full and your developers will ask for another one or you size it too big and the container host is out there just wasting resources, which could be utilized somewhere else, not efficient. Last be honest neither of them is good scenarios. 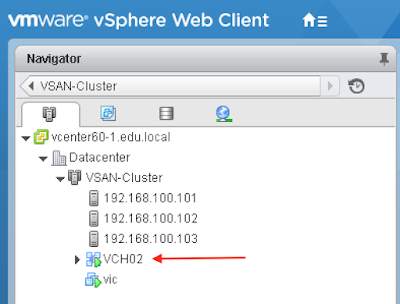 first, when you create your virtual container host, VCH, you are not allocating resources, you are just defining its boundaries, think of it as vSphere resource pool definition which we all knows for years. 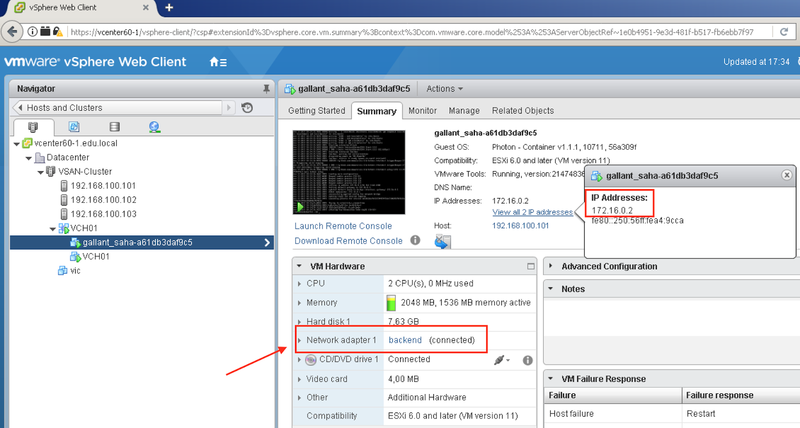 When you create your VCH it will show up at vCenter as a vApp (nothing really new). 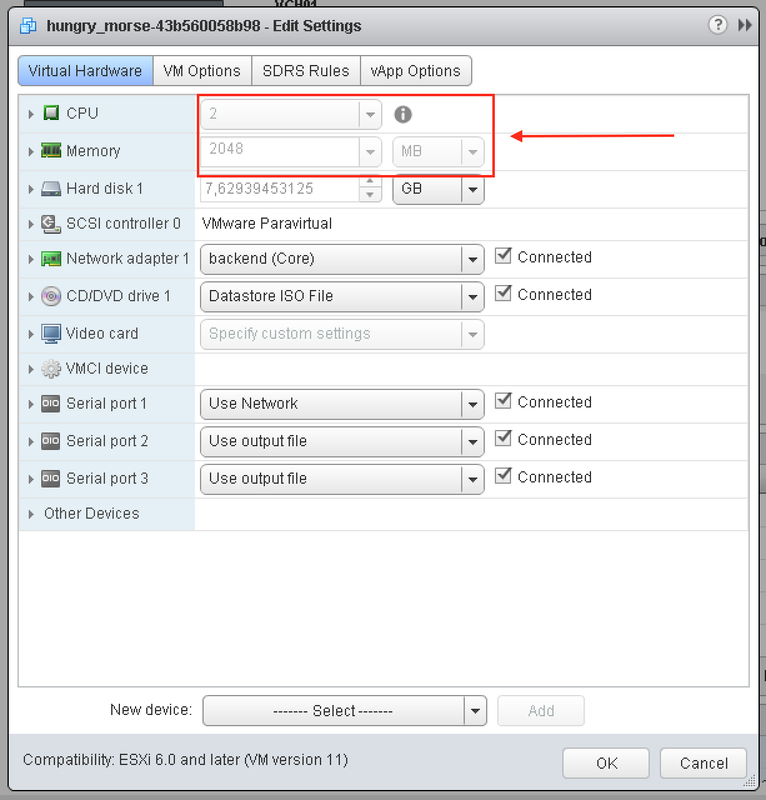 By default, VCH is created without any limitation, just edit the VCH and you will see it. At this point, you are probably worried that your developers would consume ALL your resources. 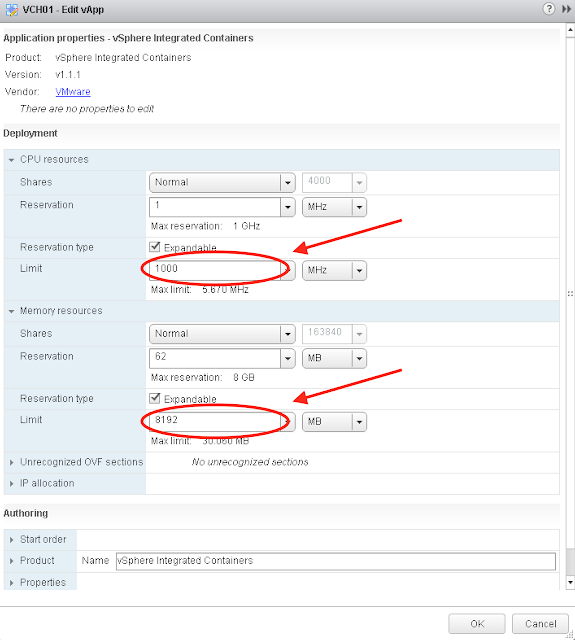 Luckily VIC has all the tools to solve the problem, during VCH creation you can specify the limits of memory (in MB) and cpu (in MHz), just adding the options --memory “size” or/and --cpu “amount"
Well, it does not prevent us from an unexpected grow, doesn't it ? 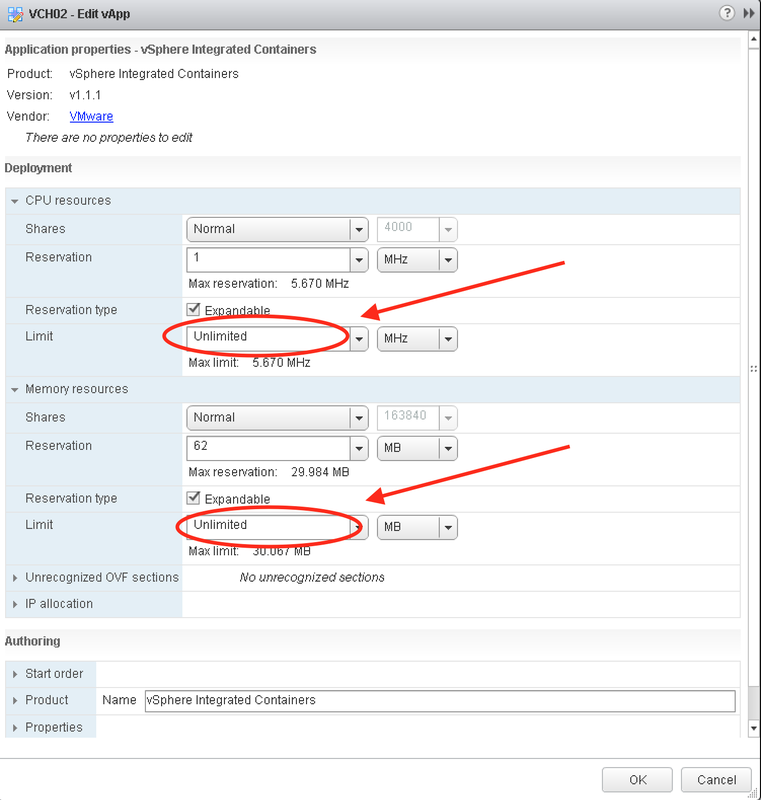 But since VCH is just a resource pool like, you can manually edit it for expanding or shrinking it’s limitation without any impact or downtime to the actual containers. It’s what I call an elastic solution !!! What about the containers itself ? If you want you can give them more or fewer resources, just add the options --memory “size” or/and --cpuset-set “amount” when creating your container. 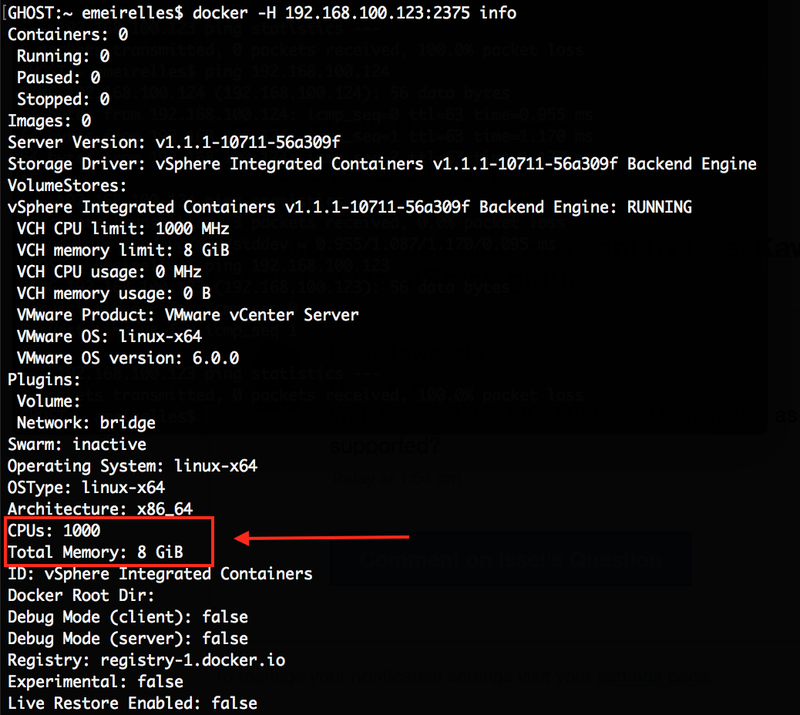 Now you can size your container host like a boss !! !